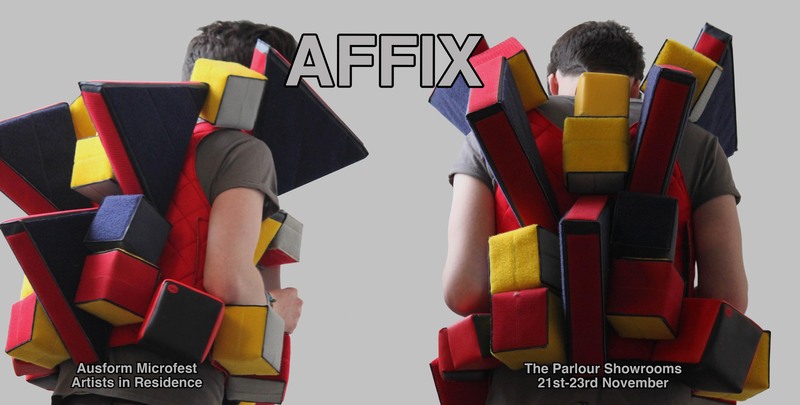 During the Microfest artists in residence AFFIX will be developing their brand new project at The Parlour Showrooms. 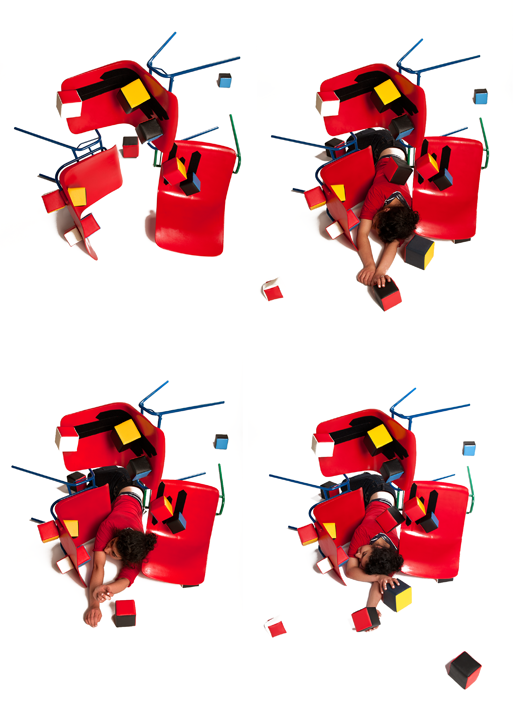 AFFIX is the creative initiative of Sabrina Shirazi and she has been working in collaboration with performance makers Clerke and Joy and designer/maker Annelies Henny over the last year on a series of workshops and ideas that will be open for playful interaction during the week. AFFIX is an original collaborative project that explores the combination of fine art textiles and performance. This project has produced a visually intriguing and wholly interactive range of fun activities for the public to be part of during Ausform Microfest Nov 2013. AFFIX was piloted with students who studied design and theatre at Adam Smith College, Fife in October to great success. With the aide of 3D objects, the students realised to their own surprise that there are more ways to communicate and “sketch” out ideas, more ways to play and open up communication about creativity. Expect to be able to able to get involved with hands on playful tasks using the custom made affixable cubes and vests. You will be able to build, wear, construct, and destruct. They will be located near the cafe at The Parlour Showrooms – a good spot to observe and partake, at the same time as having coffee and cake! Each day there will be a different open workshop for all ages.